Join an American Indian on his journey to the Olympics! 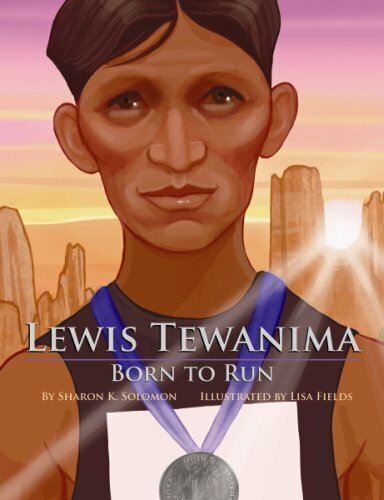 As a young boy, Lewis Tewanima was forced from his Hopi village into a government boarding school, where he was prohibited from practicing his native language and traditions. He found that running was a way to bridge the gap between his Indian heritage and American culture, and his talent led him to the 1912 Olympics and a silver medal. Young readers will be inspired by this biography, just as his village was. To honor his life, a race is held in Second Mesa, Arizona, every Labor Day.